The Ford Focus has seen its fair share of mass audience appeal and solid sales since its introduction in 2000. I lose count of how many Ford Focuses I see on the road daily. I believe that is a good thing both for Ford and its customers. I had a few days to spend with the newly designed 2012 Ingot Silver Metallic (with charcoal and black interior) Ford Focus SEL. I had a chance to drive it a bit in the city, but spent most of my time with the car in the country on the way to Sandy, Oregon, a town near Mt. Hood. 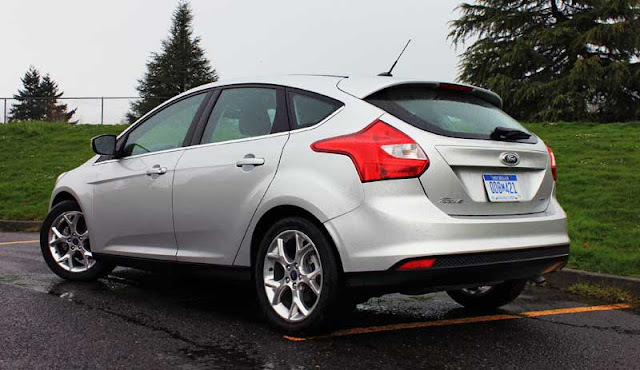 This Focus SEL test model comes equipped with 17” alloy wheels, fog lamps, a rear spoiler, and bright beltline molding. All but the 17” wheels are standard equipment for this model. The body’s styling is more aggressive, with an in-your-face front end (which to me is reminiscent of the wide-mouth Mitsubishi Lancer EVO’s front grille design). I appreciate fog lights on any car, but the chrome-look housing on this model looks a bit cheap. The body lines are simple, intuitive, and meet up with the updated, yet classic-looking back end. Ford also paid attention to the design of the ever-so-round-but-always-needed gas cap cover too. If you look closely, Ford’s design team integrated a body panel to conceal the usually round, sticks-out-like-a-sore-thumb painted gas door. Open the door and you have yourself an “easy fill capless filler”—pretty nifty. 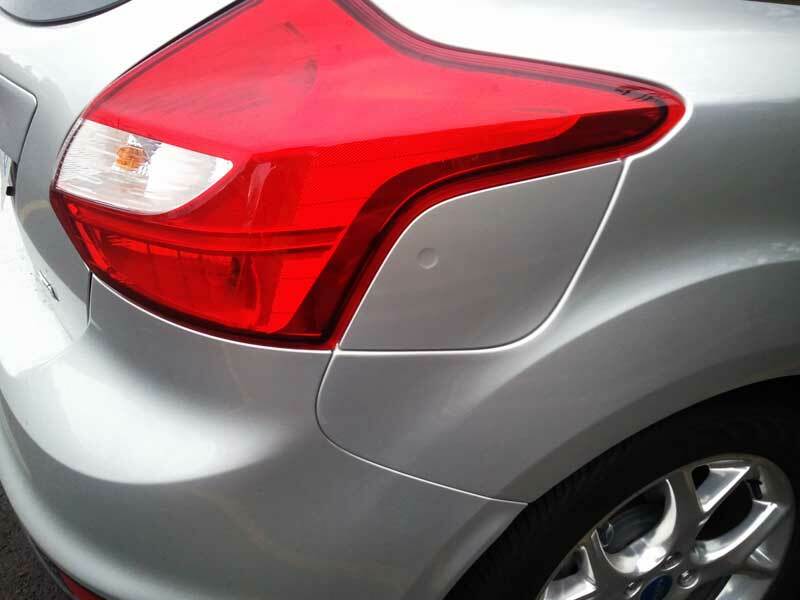 Edgy rear taillights, integrated side-mirror turn signals with multi-paneled side mirrors, rear windshield wiper, and a plastic mesh detail underneath the silver painted bumper outline this modernized hatch. Nicely bolstered seats, leather-wrapped steering wheel, easy to-read dashboard, and slick features like the integrated automatic garage door opener make this an attractive choice for many demographics. Updated interior treatments were both cool and not-so-cool for me. Cool were the Robin’s Egg blue gauge needles and text, aforementioned garage door opener and seats, and roomy feel despite its more petite size. Not so cool to me were the awkward placed and not quite ergonomic venting system (especially the large side vents on the dash near the door), somewhat obtrusive rear headrests and wide rear C-pillar, and doors that opened so wide that a short-armed lady like myself had to hang out of the driver’s seat just to grab the door to shut it (when fully extended). It also took me a while to find the internal door lock button as they are in the center of the car, not on the door. This model also came with a digitized dual A/C and heating system that when turned on initially would always be blowing on high. Maybe operator error, but a bit annoying nonetheless when constant adjusting was needed after you turned it on to turn down the fan speed. Maybe it could be programmed not to do that , though. The SEL test model also had an AM/FM single CD/MP3 player system, 60/40 split folding rear seat (great for hauling bulky or large items in this hatch), ambient lighting, as well as power locks, power windows, and illuminated entry. Safety features are also plenty: anti-lock brakes, lots of airbags, 4-wheel disc brakes with ABS, and a keyless entry system with a Securilock pass anti-theft feature. When driven on either the highway or city streets, the Focus felt very solid and stable. 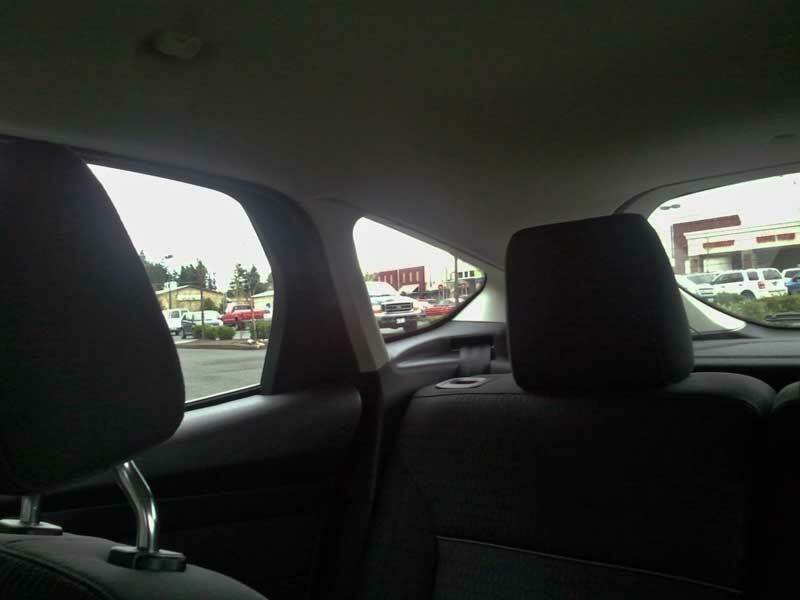 Even the deluging rain of the Pacific Northwest couldn’t make this car feel uncertain. Steering was very solid, driver controls right where you needed them. Cornering at speed was very good, and the car felt very solid and planted, even in the rain. On the highway, the Focus offered a very composed, comfortable ride. This is a car you can drive for a while without getting uncomfortable. 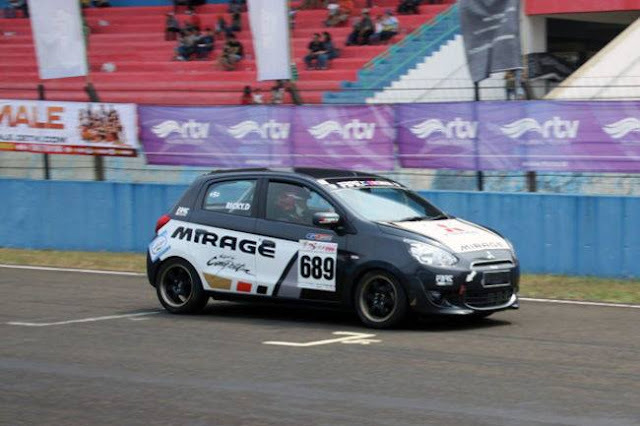 I will say that it did take a bit of getting used to in terms of driving position, however. Although it wasn't necessarily the most exciting car I've driven, I felt very safe and secure in the vehicle. 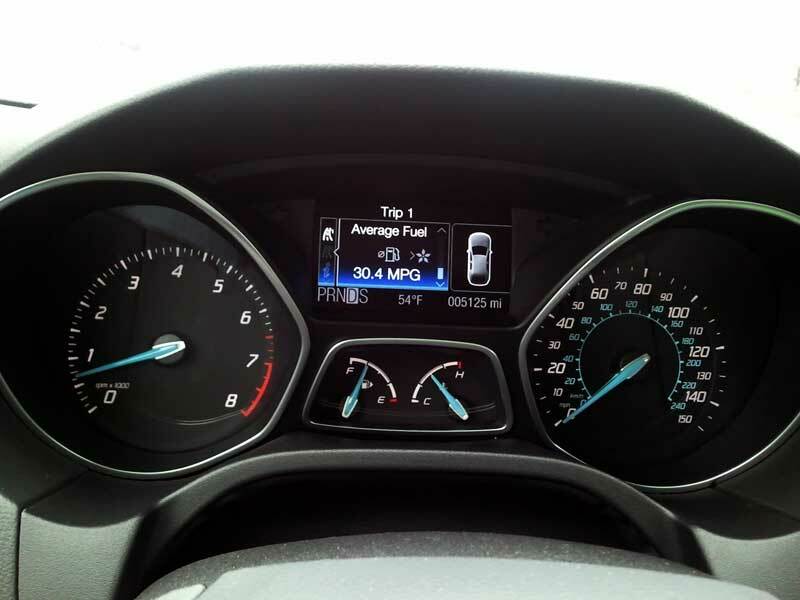 This 5-door economy car gets great gas mileage: 27 city and 37 highway. And for us Oregonians, there is a PZEV (Partial Zero Emissions Vehicle) option, which this model had. The standard Focus MSRP price stickers at $21,065. Our vehicle had a few extras on it: the MyFord Touch and Sony package, HD Sirius/Nav, and 10 speaker package, as well as the polished 17” alloys. Combined with destination and delivery charges, this models stickers for $24,250. 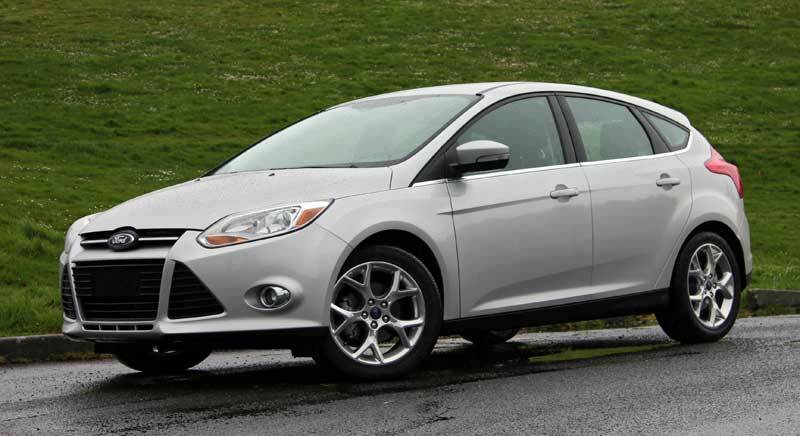 Take away a rapid spec savings of $175 and your grand-daddy total for this Ford Focus SEL model is $24,075. 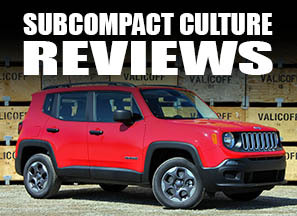 I’d say this is a good solid choice for someone looking for a quality compact car with quite a bit of amenities. So the ’12 Ford Focus is a modern, world-class compact. The SEL model is great for those looking for a little luxury and tech with their small car. They’re selling very well, and I can see why. Ford has a very competent car on its hands that is able to go toe-to-toe with the best in the segment. How did the transmission feel to you? I was quite displeased with it myself on a long trip I took down to Arkansas earlier this year with a rental SEL 5-Door. It wasn't as powerful or quickly responsive as I'd normally like in a small car but it did the job and was fairly smooth. What did you dislike on your trip?